Want to know how to have a more productive day tomorrow? Are you happy with it? Was it everything that you thought it could be? I’m not talking about “oh, I had such a bad day today”. Those only last 24 hours. Then everything resets and we get another shot at having a great day. I’m talking about getting stuff done. About making sure that you have a more productive day tomorrow than you did today. The problem is that most people don’t have a plan for what they need to accomplish. It’s like they set off on a cross-country trip without planning a route. Or booking hotels in advance. Or buying Mountain Dew. If you’re like me, there’s a good chance you have amazing hair. And an even better chance that you didn’t get everything done that you needed to today. I used to be stuck in that rut. I’d hit the office going full steam, right into a detour sign. I found myself getting farther and farther away from the things that I wanted to do. Farther away from the things that I felt were important. And closer to being completely frustrated because I felt like my time, and therefore my life, was out of my control. But I finally stumbled on a little system that helps me make the most of every day. And it’s the things I do the day before that help me do that. It’s the things you do today that make sure you have a more productive day tomorrow. Ever wake up in the middle of the night with “monkey brain”? WIth your thoughts jumping from tree to tree screaming for your attention. That used to happen to me all the time. I’d wake up with a thousand thoughts running through my brain. Most of them had nothing to do with what I knew I really needed to get accomplished the next day, but I couldn’t shut them up! It’s quite amazing that your head has the ability to keep track of every single thing that you need to do. It’s quite annoying that it reminds you of them at 2:00 am. The key to having a quiet mind, which is an essential part of setting the stage for a more productive day tomorrow, is to empty it. Find a sheet of paper, a notepad or a notepad.exe. Take 5 to 10 minutes and just write out every single thing that you need to get done. Make the ultimate to-do list. Don’t worry about how you’re going to get them all done and don’t get wrapped up in how many things you write. Or spelling. Ogrammarer. Just write. **You might want to set a timer for that, because the first few times you do this, it’s gonna seem to go on forever. When you transfer your to-do list from your head to another medium, be it paper or computer, your brain knows that all that information exists somewhere else. So it doesn’t have to keep reminding you of it. I hope the brain dump didn’t make your head so empty that you can’t remember why you started reading this. Isn’t it nice to have identified all those crazy things? Here’s the good news… you don’t have to do all those things! Well, not tomorrow anyway. In fact, right now all you have to do is identify 3 of them as the most important. As you wrote out all the things you need to get done, a few of them probably stuck in your mind a little bit as “oh I really need to do that“. Well, narrow that down to the top three and highlight/circle/underline/bold those. Now get a different sheet of paper and write those top 3 things down. This time as action items. Don’t just say “call Tom“. Write out an action and a reason, and even a desired result if you can. “Call Tom re: closing out the Tompkins account. Get approval“. 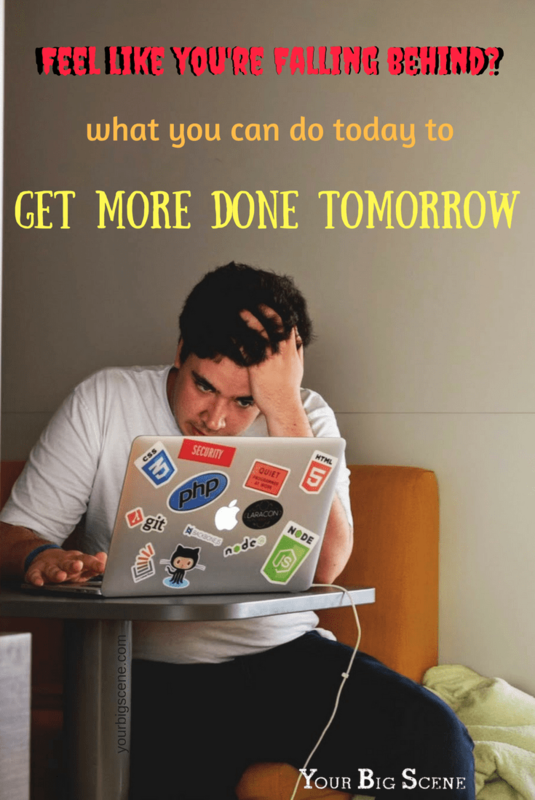 If any of those are things that you can’t do tomorrow, you need to break them down into smaller chunks until the tasks are something that you reasonably could do. We’re going for small wins here. By choosing the most important, you are not only setting some priorities for those tasks, you are telling your brain that you know what’s important. By using action statements, you are clarifying what needs to be done and how you expect it to turn out. Even finishing just one will make you feel like you got stuff done! Knocking out those three most important things will make you feel like you had a great day, and you just might get other things done too! What would your day look like tomorrow if you accomplished those 3 most important things? 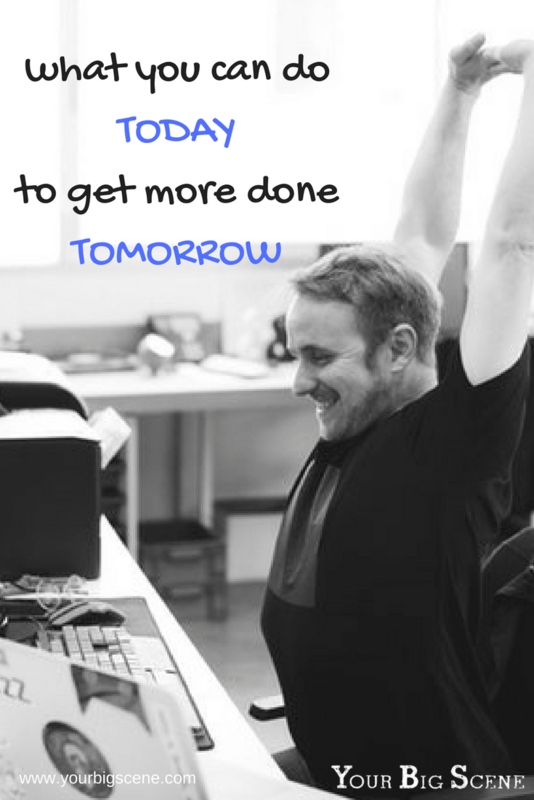 What would it look like if you had an even more productive day tomorrow?? Take a few minutes to think about how tomorrow would look if it would go exactly as you want it to. Close your eyes and think about your perfect tomorrow from start to finish. Okay. Get off the beach and get back to where you’re really going to be tomorrow. Unless you’re really going to be on the beach. And then why are are you here? Take a lesson from some of the most accomplished people in the world and see yourself having a more productive tomorrow. This technique is used by a plethora of successful people including Jim Carrey, Oprah Winfrey, and Jack Nicklaus. Ever spend 15 minutes in the closet trying to decide what to wear? That’s not a great start to having a more productive day. Take a tip from other successful people and decide tonight what you’re going to wear tomorrow. Some celebrities have taken this to what I’d say is practically a genius level; they wear the same thing every day. Mark Zuckerburg wears a grey t-shirt, occasionally accented by a black hoodie. Except when he testifies in front of Congress, of course. Simon Cowell has a closet full of comfy t-shirts and jeans. Steve Jobs wore a black turtleneck, blue jeans and New Balance sneakers every day. The same outfit Astin Kutcher wore when portraying him in the movie! By choosing a standard outfit, they eliminated one decision from a world filled with decisions that need to be made. I’m not suggesting that you wear the same thing every day. But if you decide tonight what you are going to wear tomorrow, that’s one less time-waster you’ll have in the morning. And that’s a great start to the day. That is not the way to start a productive day! It all could have been avoided by putting all those things you’ll need tomorrow in one spot. I suggest you put them by whatever exit door you use to head off to work. Okay, don’t leave this out with everything else. But pack whatever your lunch is into your lunch-box/pail/Fry’s grocery bag and put it in the fridge. If you have everything in one easy to access location, and you do that every day, you won’t waste time searching for anything in the morning. Having all your essentials laid out tonight will mean a more productive day tomorrow. An easy start to the day leads to an easy finish to the day. To some people practicing gratitude seems kinda hokey. Remembering the things you’re grateful for can sometimes seem like a waste of time. When you have so much else to do, who has the bandwidth to sit and think about what you’re thankful for. The way you think affects not just the way you feel, but it affects you physically as well. Wow! It’s a good practice to take just a few minutes each day to write down how your day went, especially the things that went well, and what you would like to see happen tomorrow. Having a gratitude journal on your nightstand to remind you to capture those thoughts is a great idea. But it doesn’t have to be a journal, per se. Remember when you wrote down those top 3 things you need to do tomorrow? Why not take a minute and write down 3 things that happened today that made you happy. You’ll find your frame of mind is much calmer, and that will help you relax and get better sleep tonight, which will lead to a much more productive day tomorrow. But I’m getting ahead of myself here. Reminding ourselves of all the good things we have in life puts us in a better mood, in a better frame of mind. It also provides a significant boost to our happiness, which helps us feel more like getting stuff done. And the last thing before you get up and have a more productive day tomorrow is to have a good night’s sleep. If you’re batteries aren’t recharged, you’re just not going to perform at your best. I’m not suggesting that you need to get more sleep, I’m saying you probably need better sleep. A study done by UCSD in 2010 suggests that the secret to a long, more productive life lies in getting just the right amount of sleep, which for most people is 6.5 hours. That ain’t me, btw. It’s much better to get a good 6 hours of sleep than a lousy 8. Think back to the last time you tossed and turned all night… how productive were you the next day? But you’ll do better getting less sleep that’s good than more sleep that’s bad. In fact, getting too much sleep can be just as bad as not enough. Much more important than the amount of sleep is the quality of sleep. If you’ve done everything on this list to prepare for tomorrow, then you should be really proud of yourself. Look how much you accomplished today. Here’s to a more productive day tomorrow! If you’ve tried out these tips and they work for you, let me know in the comments below! getting sleep is so important. You aren’t going to be productive no matter how much you plan if you can’t wake up and get energized! Thank you for this article Dee, it is very helpful. I am guilty of not adequately preparing beforehand and most times I find myself feeling unprofessional, and like a poor performer. These tips are very practical and useful, thank you. This is indeed a very useful and informative post. I always make a work plan and a timetable and prioritise tasks in order of importance and deadlines. Visualizing my day and getting enough sleep have been game-changers for me. Three things are good, but I originally started with just two things, then it grew. Great tips here! Thanks. Thanks Anita! I think it’s key to make sure the 3 (or 2) most important things are doable. Break bigger tasks into smaller ones. Nothing beats being grateful and staying focus so there are no distractions. Very helpful tips! Time management is key and staying focused on the task at hand, but obviously that is easier said than done. I will get more sleep and try again tomorrow! “get more sleep and try again tomorrow”… that’s my new nightly mantra! It is so important to be grateful and visualize your day. You will definitely have a more productive day. It amazes me how many people think gratitude and visualization don’t work… but then they are shocked when they find out how many successful people (especially athletes) use these same tips. Very helpful tips. I have been doing this a lot but looking at it there are a lot of things to improve on. Thank you. I think we all have a lot of things we can improve on… but growth is a good thing! I really struggle with staying productive as I work in a home office but your article really summed up everything about how to have a more productive day. Especially i like the idea of choosing 3 major tasks for a day! I try to knock those 3 out first thing in the morning before I even open up email. Otherwise, I just lose them with everything else that’s going on. I just loved this! 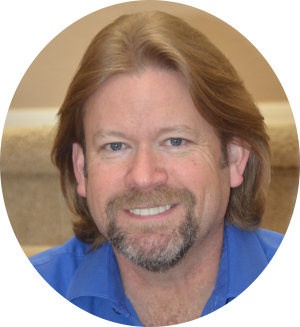 And may I say you do indeed have great hair 😀 – I love the Brain Dump idea, that is one I most definitely need to try out! I especially loved that you added gratitude in the mix! Great Post! Thanks for the hair compliment! And sometimes I think I brain dump too much and can’t remember what I’m supposed to be doing at all. 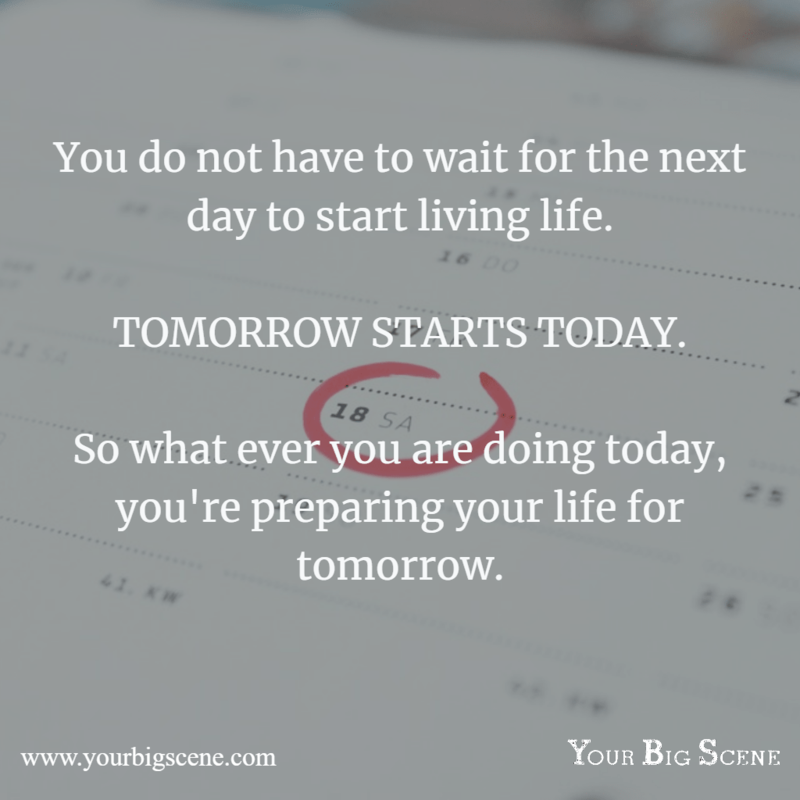 This post is very helpful loved reading it have to apply it in planning my days schedule better and get a fruitful day at the end thanks for sharing. These are all great tips! I can always use a little more productivity in my day. These tips are essential! It’s just a matter of putting them to action that gets me everytime, but I’m getting there!! Thanks for the motivation!